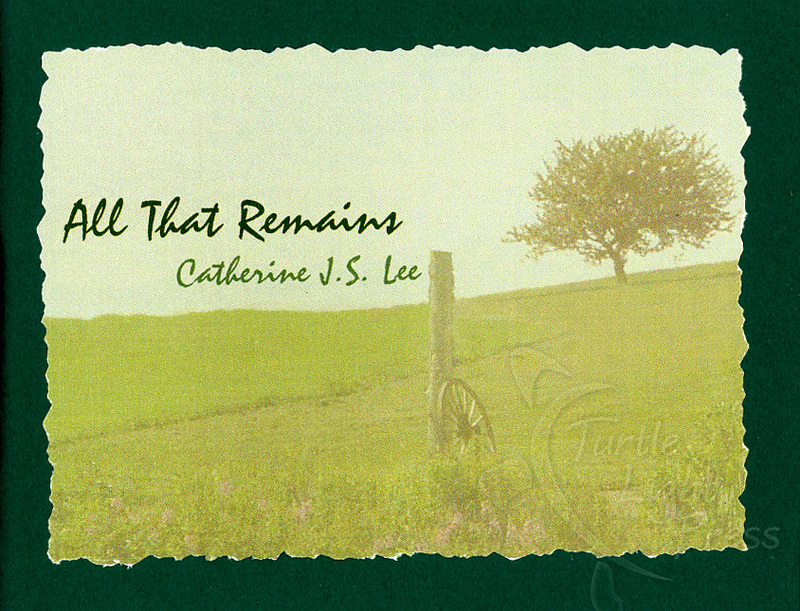 In this evocative collection of haiku about grappling with loss and change, Lee reflects on memories of loved ones and the Maine landscape of her childhood. 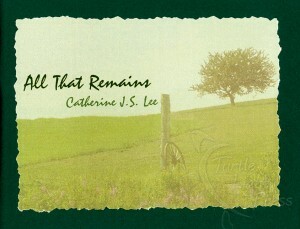 Arranged in an emotional arc that reaches deep inside, these haiku will be reread again and again. Flyleaf is Nepali sun washed dyed ferns. 4.5 inches x 5.75 inches. 27 pages. 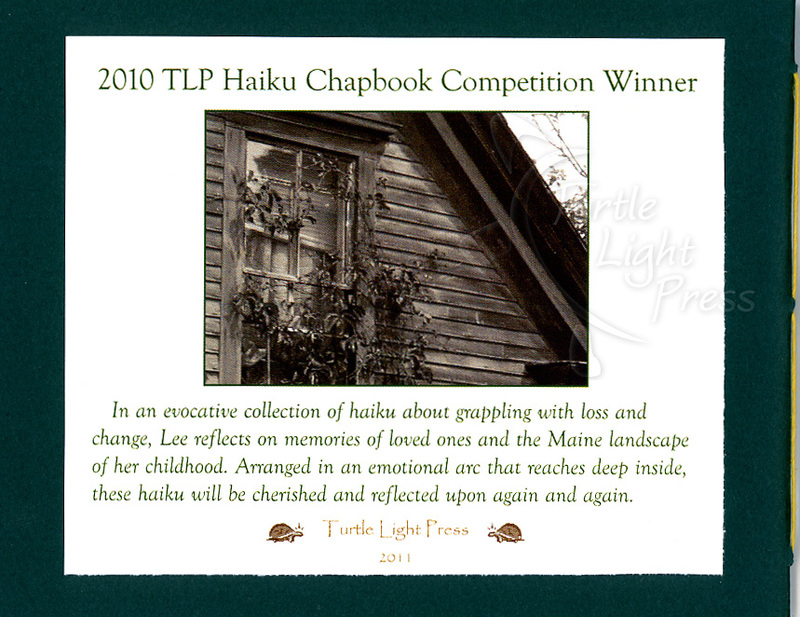 “…a tightly spun web of Maine haiku that do not lose their joint narrative and lyrical threads…if you want to reward yourself as a reader of good poetry, you can go no further than Lee’s book.” Alan Summers, a Japan Times award-winning writer and editor of a number of anthologies.